Why has it taken so long to develop a vaccine against HIV? In 1984 US Health Secretary Margaret Heckler an announced that we will have developed an HIV vaccine within the next two years, but thirty years later, the world is still waiting for a success. (Picture shows Sec. 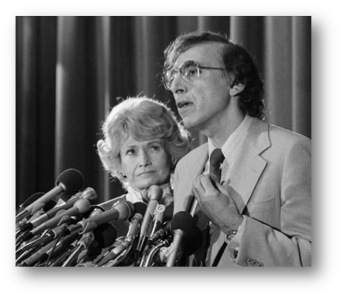 Magret Heckler with Dr. Robert Gallo presenting the finding that HIV causes AIDS) While science and technology accelerated in the last decade and propelled our understanding of the immune system, history teaches us that the development of any vaccine takes its time. It had taken over 100 years to develop a typhoid vaccine, 89 years against whooping cough, 47 years for polio and 42 years with measles. But the time lag is getting shorter. There was only a 16 year difference between the discovery of the hepatitis B virus and the development of a vaccine. What makes it so hard to make a vaccine against HIV? One of the most challenging parts about HIV is its enormous genetic diversity. Even today we struggle to create an universal vaccine against influenza because of its large diversity. In fact, we are only able to vaccinate for a viral influenza strain once a year as the one from the year before may look very different. Now imagine the same diversity as that of influenza in a single HIV infected human being over the time of their infection. (The figure below depicts the diversity of HIV in the Democratic Republic of Congo in 1997 as compared to a single individual and Flu HG in 1996, picture by Betty Korber). In fact, if someone is infected with one strain of HIV, he or she can be infected again with another (so called: superinfection). Thus, the immune system cannot protect against newly acquired viruses that are just a little bit different. HIV infects one of the central players of the immune system, the CD4 T helper cells. In particular those CD4 T cells that are specific against HIV infection are preferentially infected and lost. Therefore there is concern that the generation of these cells may increase the risk of infection. Many vaccines consist of live-attenuated or killed whole viruses. However, we cannot do this against HIV as it is too dangerous. There could either be reactivation or we cannot ensure full killing of all viral particles. In fact, a killed whole virus vaccine had also worked poorly in animal studies. There is not a single vaccine against any retrovirus. 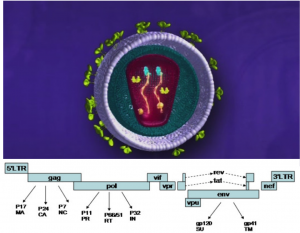 Retroviruses integrate into our genome and become part of their cellular machinery. By doing this, they can remain hidden from immune surveillance within quiescent lymphocytes. This means that a vaccine and the immune system have few opportunities to prevent HIV infection. There are successful vaccines that utilize the subunits of viruses (such as the vaccines against hepatitis B). However, it is very difficult to create the surface protein of HIV. Moreover, about 50% of the molecular mass of HIV is actually sugars and these are derived from the host who is infected. There is also no truly useful small animal model for studying HIV infection and vaccines. Many studies are performed in monkeys, but even these sometime do not adequately mirror HIV infection. We do not know with certainty which immune response will provide protection, which is a major problem. Pre-efficacy studies of vaccines in monkeys and humans used correlates of immunogenicity such as CD8 T cell response, but we do not know whether this immune response is in fact a correlate of efficacy. The semi-successful HIV vaccine trial RV144 induces non-neutralizing antibodies, which opened up a whole new area of HIV research. 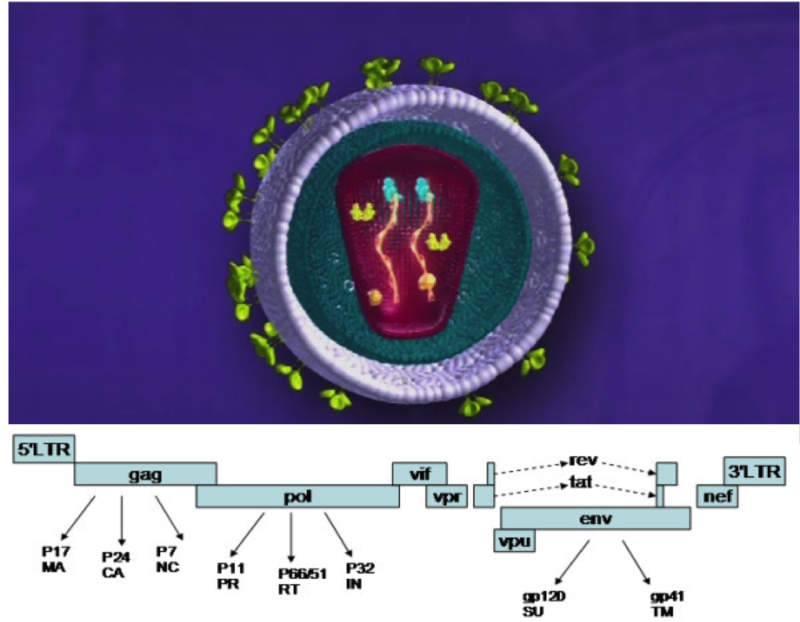 HIV produces small viral proteins such as tat, nef and vif that actively interfere with what would otherwise be a potent anti-HIV response in both infected and uninfected cells. HIV is capable of developing immunity and escape to immune responses.